ICICI Lombard General Insurance shares hit an all-time high of Rs 1,057, up 2 per cent, in intra-day trade on the BSE, in an otherwise subdued market on Monday. The stock surpassed its previous high of Rs 1,044 touched on April 1, in intra-day trade. Since January 28, the company has rallied 29 per cent from its recent low of Rs 818 on the expectation of higher growth going forward. In comparison, the benchmark S&P BSE Sensex was up 9 per cent during the same period. ICICI Lombard is set to cross Rs 50,000-crore market captialisation (market-cap) after a sharp rally in the company's stock price. 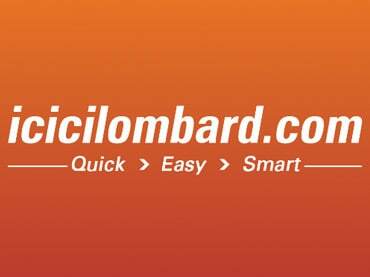 At 01:35 pm, with Rs 47,680 crore market-cap, ICICI Lombard was 60th in overall market-cap ranking, BSE data shows. ICICI Lombard has gained 14 positions in the past two-and-half months. The company issued 23.5 million policies in FY18 and its gross direct premium income (GDPI) increased 15.2 per cent year-on-year (y/y) to Rs 12,357 crore. During 9MFY19, its GDPI increased 16.7 per cent y/y, outpacing the industry growth rate of 13.1 per cent. Focusing on retail health, ICICI Lombard grew its retail indemnity new business by more than 50 per cent during 9MFY19. Analysts at Anand Rathi Share and Stock Brokers initiate coverage on ICICI Lombard with a ‘buy’ rating and a target price of Rs 1,210 per share. The brokerage firm believes the company is well positioned for long-term growth, given the company’s impressive underwriting performance, diversified product mix, and favourable macro traits. The growing distribution network with multiple channels should continue to support ICICI Lombard’s growth momentum. The distribution base should help the company enter new markets while its technology platform should help in introduction and enhancement of product offerings. Further, the company’s wide range of product portfolio coupled with disciplined underwriting performance should help in sustaining its strong position in the market, the brokerage firm said in company update. Analysts at JM Financial believe that ICICI Lombard is well-positioned to deliver 16 per cent GDPI growth – in line with the industry – over FY18-21E, enabled by structural factors such as non-life underpenetration and low density as well as urbanisation and rising asset ownership; granular focus on niche segments within Motor/Health and a diversified and productive distribution network.